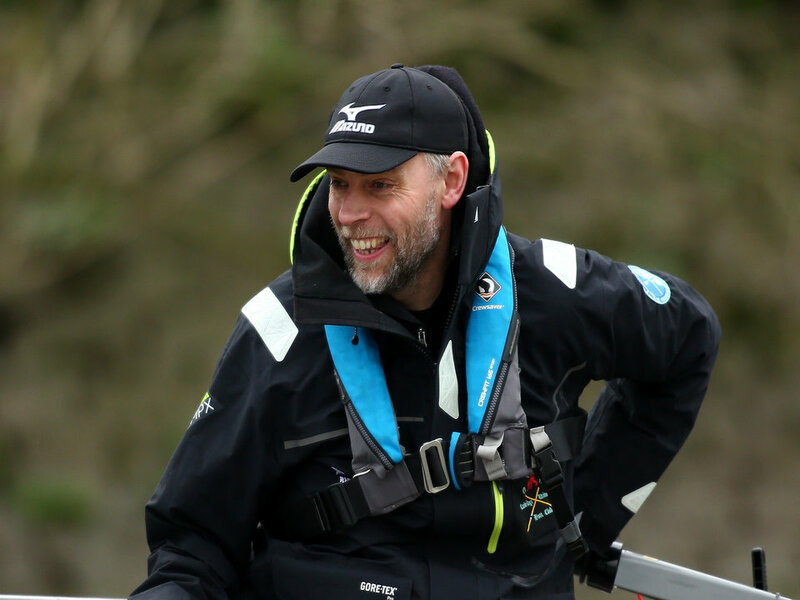 Steve Trapmore signed off his Cambridge tenure in spectacular style by securing an emphatic victory for his crew in The 164th Men’s Boat Race. Trapmore, who is joining the national team, secured his third victory as Chief Coach at Cambridge University Boat Club, beating Oxford by three lengths over the Championship Course. To complete the happiest of endings, the Light Blues also won the Women’s and both reserve races, completing a clean sweep for the first time since 1997. After a fast Oxford start, Trapmore’s crew seized the mantle to drive ahead approaching the end of the Putney Embankment. From that point on, they never looked back and continued to inflict damage on a the Dark Blue outfit who could not contend with the power and poise of the well-drilled Cambridge boat. Trapmore’s legacy at Cambridge is a reflection of the hard work and charisma that the former Olympic gold medallist has brought to the camp; the sight of the athletes chanting his name as the launch arrived back at Mortlake demonstrated the effect he has had on every aspect of life at Cambridge. He leaves behind a healthy program, with strong foundations and a bright, Light Blue future.